The annual Elk Grove Wobble will be held tomorrow, Thanksgiving morning. To accommodate the event, there were be several detours and closures between 7:30 a.m. and 12 p.m. Neighborhood traffic east of Highway 99 south of Bond Road and North of Elk Grove Blvd. 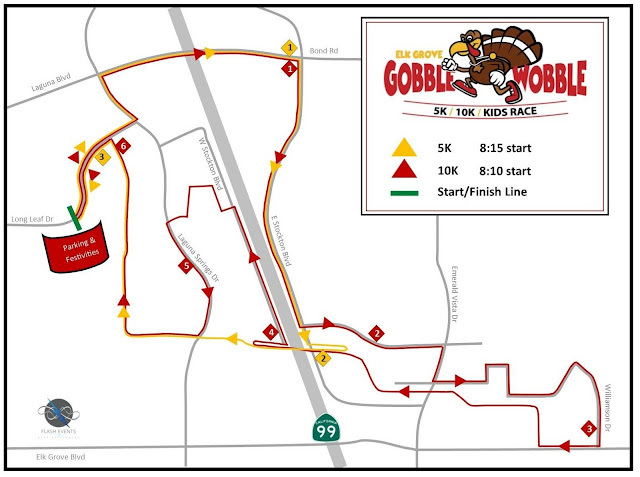 within the run route will be controlled for local traffic only. More than 2,000 runners have participated in previous Thanksgiving Day run events in the city.